Selsdon is a district located in South London, in the London Borough of Croydon. The area was developed during the 1920s and 1930s and boasts a fine selection of Art Deco houses. Selsdon can be reached by car via the A232 and A22. Selsdon has good public transport facilities. The nearest railway stations are Selsdon, Sanderstead and South Croydon. Lanes School of Driving started giving driving lessons in 1914. Lanes has taught generations to drive over the years . Lanes’ reputation for quality driving instruction is well established. At Lanes we recognise that pupils each have their individual needs. We tailor our courses accordingly. We provide intensive driving course for pupils who want to learn quickly and efficiently. Theory is taught either alongside practical lessons or as a separate course. After passing their test, pupils have the opportunity to take further lessons. After pass courses offered include: Pass Plus, Motorway Driving, Parking Skills, and Advanced Driving. Lanes appreciates that pupils often lead busy lives. At Lanes, we provide pupils with great flexibility over the timetabling of their lessons. Pupils can book lessons on a regular weekly basis or just book a one-off lesson. Lanes takes care that all pupils are given an instructor who will teach them one on one. We feel that it is the best way to ensure pupils receive the maximum benefit from their instruction. Lanes has a fleet of high quality and up-to-date cars. Our instructors are happy to collect pupils prior to their lesson and returned home at the end. Lanes have been providing driving lessons in Selsdon, Surrey for many years. Please call us today on 020 8166 5678 or click here to send us an email via the contact page. Lanes has more than 40 experienced driving instructors. Pupils are free to choose the instructor that best suits their needs. Pupils of all ages from 17 to over 70 have been taught by our instructors. Nervous pupils will be given reassurance and guidance. Lanes’ instructors are registered with the DSA and every one is qualified as an Approved Driving Instructor. Pupils will stay with the same instructor throughout their course to ensure faster progress. 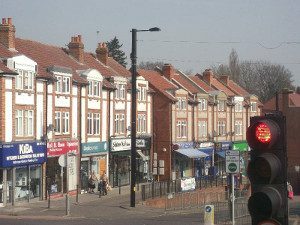 Lanes have a team of driving instructors in Selsdon, Surrey. Please call us today on 020 8166 5678 or click here to send us an email via the contact page. Some pupils are nervous about learning to drive. Female pupils can be very worried about sharing a vehicle with a male instructor. Fortunately, Lanes allows females to choose from one of our female instructors. Our female driving instructors are kind and considerate. They will make sure that students feel calm and relaxed. Lanes have a selection of female driving instructors in Selsdon, Surrey. Please call us today on 020 8166 5678 or click hereto send us an email via the contact page. Some pupils prefer to learn in an automatic car. Experienced drivers may prefer manual cars as they allow more control. However the challenges of manual driving can be daunting for beginners. With automatic cars, there is no need to physically change gears, and there is no danger of stalling. We find that pupils learn faster in automatic cars. Lanes have a selection of automatic driving instructors in Selsdon, Surrey. Please call us today on 020 8166 5678 or click here to send us an email via the contact page.